The Olympics consistently showcase the best of the best. When baseball returns to the Games in 2020, it will be the best of the rest. Hope you enjoyed the 2018 hockey tournament in Pyeongchang. 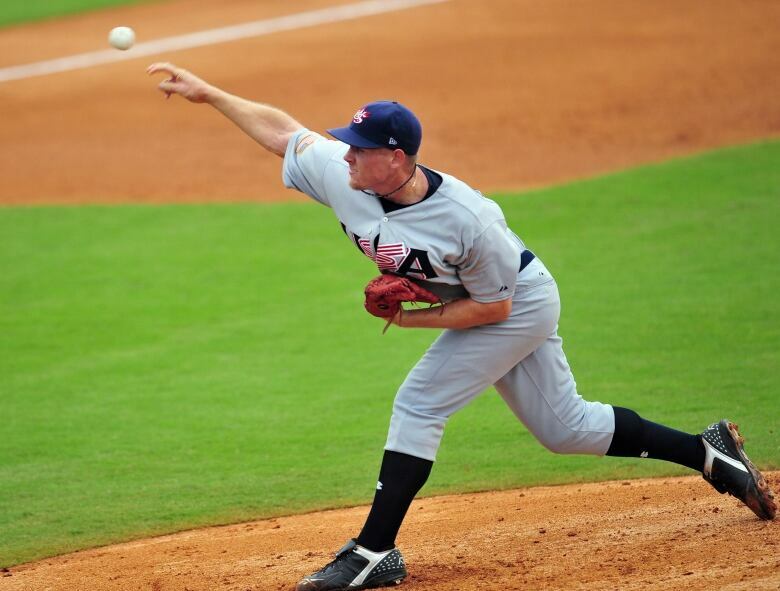 After a 12-year Olympic hiatus, baseball will emerge for its sixth official tournament at the Summer Games in Tokyo. Of course, the Games take place in August — the dog days of the MLB season, but days of the MLB season nonetheless. It is overwhelmingly likely that players on MLB 40-man rosters will be ineligible to play. Prospects on the cusp of a September call-up are also unlikely to risk a shot at a major league opportunity to play in the Olympics. In fact, in 2004, Canada manager Ernie Whitt had pitcher Jeff Francis, then a Colorado Rockies prospect, slated to start against Japan. "And Dan O'Dowd, who was the GM [of the Rockies] at the time kind of nudged him and said we might be thinking about bringing you up [from triple-A]," said Whitt at a recent Canada Baseball event. Francis chose not to go to Athens. "I can't blame Jeff because again that's your ultimate goal is to pitch in the big leagues," said Whitt. "He didn't get called up and he missed out on his chance to go to the Olympics which is unfortunate, [because] that's a great honour to be representing your country at the Olympics." For a sport that continues to draw less and less interest, an international tournament should hold some appeal — but few will tune in to see a smattering of single-A sluggers battle for supremacy. "I wish that they would do the Olympics where you either shut down major league baseball and bring all the players and allow them to play or eliminate all professional athletes and do it with all amateurs," said Whitt. A mix of professionals and amateurs helped Canada qualify for the 2019 Pan Am Games at the recent qualifier in Brazil. Canada placed fourth after a pair of 10-inning losses doomed the team. Other qualifiers include the Dominican Republic, Colombia and Nicaragua. The 2008 rules put Canada at a major disadvantage, since countries like Japan and South Korea have many of their best players competing in professional leagues in their home countries, which take time off for the Olympics. Meanwhile, the best Canadians and Americans are all filtered to the majors. "The [World Baseball Classic] — use that as the baseball Olympics and that's fine, but it's hard to have certain countries having all of their best players playing and other countries not. So that makes it a little bit unfair," said Whitt. And in the case of the U.S., they at least have the depth to make up for the lack of top-end players. Consider: in 2008, San Diego State's Stephen Strasburg anchored the American rotation, with help of single-A starter Jake Arrieta and double-A outfielder Dexter Fowler manning centre field. Canada, on the other hand, trotted out an 18-year-old Brett Lawrie next to 35-year-old Stubby Clapp. "If we were able to get all of our players to commit and play at the WBC we could be very competitive," said Whitt. Canada will have a difficult time even qualifying for Tokyo. Only six countries will participate, with Japan having wrapped up an automatic entry as host. The next two qualifiers will come from the quadrennial Premier12 tournament in November. The tournament is aptly named, as it includes the top 12 baseball countries in the world. In the 2015 iteration, South Korea won with the U.S. placing second. Canada, despite a 5-1 round-robin record, finished fifth. The final three qualifiers will emerge from tournaments in Africa/Europe, the Americas and a final chance competition. As it stands, MLB does have one player lobbying to go to Tokyo: Japan's own Shohei Ohtani. "As [the Olympics] are being held in Japan I have a lot of interest," Ohtani told the Associated Press last November. "As baseball is back in the program, I'd love to take part. I think that's just natural." Perhaps Ohtani can inspire change. If not, players are going to be faced with difficult decisions. One such player is Toronto Blue Jays outfielder Dalton Pompey, who is out of options and far from guaranteed to be on a 40-man roster come August 2020. "I would love to play in the Olympics. I don't know the rules, I don't know who's eligible to play and stuff like that yet, but we'll see what happens," said the Mississauga, Ont., native. "If we qualify, I would love to play in the Olympics." Pompey played for Canada in the recent Pan Am Games qualifier. It's telling that Canada might be relying on the presence of a 64-game veteran with a .221 career batting average. That, again, speaks to Canada's depth disadvantage in the absence of major leaguers. "It hurts because we don't have that many guys in the big leagues so every guy that we could get would help us tremendously," said Pompey. "But you play the cards you're dealt and you go from there." For now, Canada just needs to make sure Olympic participation is in the cards at all.